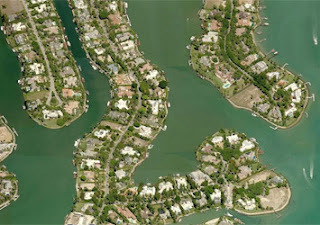 Port Royal in Naples Florida is located between the Gulf of Mexico, Naples Bay and Gordon Pass. Port Royal is the most exclusive neighborhood in Naples, offering around 500 estates. Most of the properties are waterfront on deep and wide canals with direct access to the Gulf; the most exclusives and the finest are the ones on the shoreline of the Gulf of Mexico. If you cannot find your dream home in Port Royal, a few vacant lots are available too. Port Royal is just a few steps from Downtown Naples and its historic district.